San Marcos interior and exterior painting. 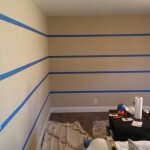 If you’re looking for a painter in San Marcos, SJS Handyman can help. We can take care of your smaller interior and exterior painting projects. Whether it’s the outside fence, a fews rooms or the garage door SJS Handyman is here to help. We’d love to add you to our list of extremely satisfied customers! 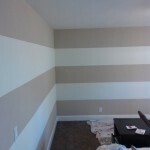 Please call us today so we can take care of your painting needs. San Marcos painting and more! If you’re going to choose a handyman for interior or exterior painting, you should choose one that’s local and one who will do the job right the first time. We fit the bill. San Marcos is the main city we service and we complete every job with some of the highest standards in the business. If you’re looking to get interior or exterior painting done in your home, please call 760-580-5224 or submit a free quote request today. We’d love to provide you with our experienced painting and handyman services.